Blue Kyanite is one of the four powerful kyanite stones. One of the very few stones that requires NO clearing, you need not run this stone under water or cleanse with sage smoke. This stone serves as a catalyst for full consciousness in waking, dreaming, and even dreamless sleep. This stone will also aid in dream recall, a highly informative practice that helps an individual comprehend the symbolism of dreams. Aiding in the stimulation and balance of all chakras (especially Throat and Third Eye), this stone can assist one in improving psychic abilities such as telepathic communication and lucid dreaming. Use Blue Kyanite to help communicate with your pets by placing the stone over the third eye chakra, and sending your message to your pet through visualized images. Blue Kyanite also allows us to feel a closer connection with nature in general. Work with Blue Kyanite to set intentions upon all of these properties listed above. Blue Kyanite stones have a strong vibration that assist in opening the psychic channels and activating the conscious mind centers. Aiding in all conscious acts, this stone will help in the downloading of information from higher sources or planes. This stone merges between the 4th and 3rd dimensions, allowing its user to bring higher insights, guidance and information into the world of Form (physical realm). 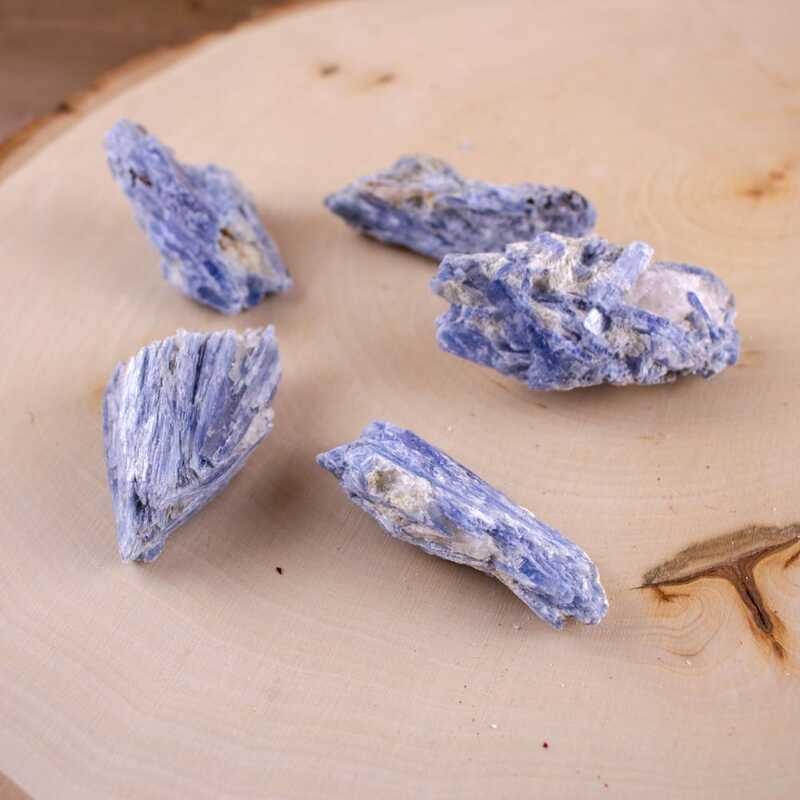 Blue Kyanite will aid one in expanded consciousness in the dream realm, greatly enhancing the process of lucid dreaming and for advanced users, astral travel. This multi-dimensional stone uniquely merges our astral bodies with our physical bodies, allowing us to tap into our higher guidance, intuition and highest purpose. Blue Kyanite will work just fine as a pocket stone or when left under your pillow prior to sleeping. However, wearing a Blue Kyanite ring on your transmitting hand will aid in telepathic communication. Switching the ring to your receptive hand will allow Blue Kyanite to aid in downloading information from the higher realms. Combine your blue kyanite with green kyanite in order to merge your etheric and physical bodies with the voice of the heart center. 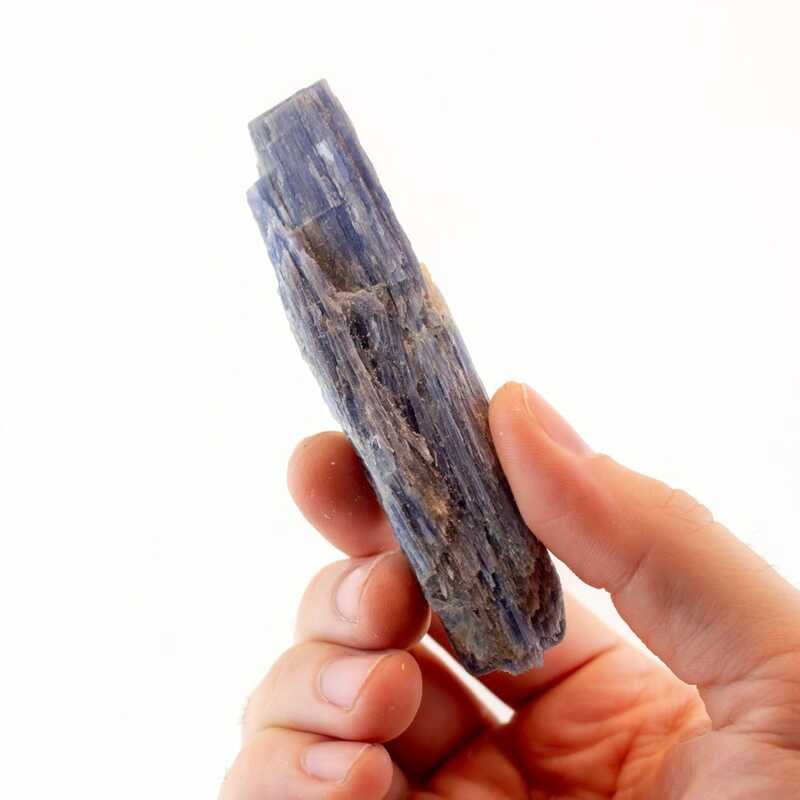 This will keep the psychic influence of Blue Kyanite in accordance with free will and for the good of all, while deterring any tendencies of an “ego-trip”.